We can assist you with Life Insurance Approval with Chronic Bronchitis! Have you been declined for life insurance due to Chronic Bronchitis? Can People Who Have Chronic Bronchitis Be Approved for Life Insurance? Yes, most individuals with Chronic Bronchitis will be able to qualify for traditional life insurance, the type of insurance which requires a medical exam. Best Case Scenario – If Chronic Bronchitis is diagnosed early and prevention management became successful, the symptoms of persistent and productive cough will be controlled. These cases may qualify for the best case rating at “Mild Substandard”. Click here for quote at “Mild Substandard”. Moderate Case – Those cases with more frequent symptoms of persistent cough and accompanied by occasional fever and fatigue, but present no serious complications to the heart and lungs may still qualify for a “Medium Substandard” health class. Click here for a quote at “Medium Substandard”. Severe Case – With severe and recent complications such as presence of blood-tinged sputum that occurs more frequently than more than three months, the best approval you may obtain is at a “Severe Substandard” rating or in worst cases a decline. Click here for a quote at “Severe Substandard”. 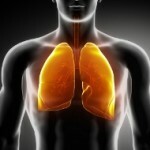 How many years have you been diagnosed with Chronic Bronchitis? Chronic Bronchitis is a non-life threatening condition but can get worse with incorrect management. The symptoms can be managed and controlled with early diagnosis and treatment, and the likelihood of getting the best rating at “Mild Substandard” is high. Longevity of the condition, however, increases the probability of complications. Flare symptoms of productive cough, fever and fatigue may not be good signs of control of your condition. These symptoms are warning signals of a severe Chronic Bronchitis attack, which may cause a “Severe Substandard” rating or even a decline. The need for medications such as expectorants or bronchodilators may be necessary to control your symptoms, and regular intake is necessary to prevent complications. Failure to comply with your medication may get you a “Medium Substandard” or “Severe Substandard” rating or a decline depending on the severity of complications. Regular visit to your pulmonologist is a good sign of control of your condition and may get you a “Mild Substandard” rating. It is, however, necessary for laboratory and diagnostic exams to confirm the absence of complications such as heart illnesses. Recent laboratory and diagnostic tests such as blood exam and chest radiology are the best ways to assess your actual condition. This may also confirm your compliance with your physician’s management. If you are smoking or have a stressful work or home setting, then the likelihood of flare attacks are very high, and this may earn you a “Medium Substandard” or “Severe Substandard” rating. Chronic Bronchitis is a condition characterized by inflammation or swelling of the bronchi. These are mid-sized tubes that serve as passageway for air to and from the mouth and the lungs. Chronic Bronchitis is considered a chronic obstructive pulmonary disease (COPD) because of its debilitating nature when flare symptoms manifest. When the symptoms of persistent, productive cough with excessive mucus occur as frequent as three months in a period of one year for two consecutive years, it is qualified as COPD; these criteria are all found in Chronic Bronchitis. Other symptoms include shortness of breath, wheezing breath sounds, occasional chest pain, fatigue and fever. The productive mucus may appear as yellowish to green or in moderate to severe cases, pinkish to red (blood tinged). 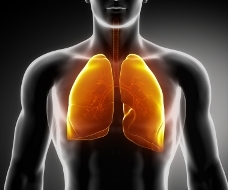 See our other articles on Respiratory Disease and Click Here!